Compare online active health insurance providers by entering your zip code into the toolbox now! Woman’s Life Insurance Society was founded by a Michigan schoolteacher, Bina West, in 1892. Bina West saw a need for the ability to provide for a family when the mother passed away and created the Woman’s Life Insurance Society. Although the plan originally only covered women, it has been insuring men since 1931. You can get in touch with a Woman’s Life Representative by calling (800) 521-9292, sending an email to [email protected], or filling out the online form. The online form asks for personal information, the type of insurance that interests you, and the best way to contact you. Woman’s Life Insurance Society offers financial products like life insurance and annuities. Contact a Woman’s Life Representative for additional information on life insurance and annuities. Prior to contacting an agent, you can use the financial calculators, which are available on the website so you have the ability to figure out how much you need to cover certain life events like college, retirement, or death. Disability Riders are also available for purchase in addition to your financial policies. Contact a Woman’s Life Representative to receive further information on disability riders. There is also an online referral program to refer friends and family members to Woman’s Life Insurance Society. A downloadable form is available for you to provide to interested friends and family members. By purchasing Woman’s Life financial products, you are automatically enrolled in the society. There is normally a $50 membership fee, but you are exempt as a policyholder. However, you are still eligible to participate in the same benefits as the society members, which are described below. Woman’s Life Insurance Society also offers a membership program for non-policyholders. For a fee of $50 a year for non-policyholders, members of Woman’s Life are eligible to participate in community activities, fundraisers, and social events. However, members are not required to purchase life insurance products. Applications for members are available on the website in a downloadable format. If you need additional information, please send an email to [email protected]. Chapter locations are available on the website by choosing the state you reside. The location, meeting time, meeting place, website, and upcoming events are all listed for your review. Once you become a member of Woman’s Life Insurance Society, you will be a member of the Gamma Nu fraternal organization, which unlike the insurance division; it only allows women to be members. Woman’s Life Insurance Society will help cover the expense of certain laboratory or diagnostic tests. For example, Woman’s Life will cover up to $50 of your out of pocket expenses for breast cancer screening, colon screening, and annual physical examination. You can apply online for these benefits under MemberWeb or by downloading the application on the Woman’s Life website. Claims can be submitted by calling Woman’s Life. Woman’s Life Insurance Society offers a complete online section of frequently asked questions and answers. If you are unable to find your question, Woman’s Life recommends you contact the Home Office either by phone, email, online form, or by stopping by the headquarters. Woman’s Life Insurance Society payments can be made online by becoming a registered member on the website. Once you have established a login and password, you will be able to make online payments. Woman’s Life Insurance Society provides a section on careers on its website. It explains the benefits of becoming a Woman’ Life sales representative, and prospective employees can contact the company at (800) 521-9292 extension 181 or by emailing [email protected]. A map is located on the website for your convenience. The organization is run by the President, Janice Whipple, and Secretary and Treasurer, Christopher Martin in addition to a board of directors. According to A.M. Best, Woman’s Life Insurance Society is rated A-. However, A.M. Best reports that the company’s financial outlook is negative. 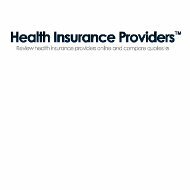 Compare health insurance companies in your area by entering your zip code now!